Looking for a way to get out of the cold and relax with your family? Plan on going to see Disney's latest movie, Tangled! It is a terrific film fun for both girls and boys with a plucky heroine and swashbuckling adventure. Click here to read blogger Media Mom's review. Happy Thanksgiving from all of us at CWDkids! Little girls are going crazy over our shiny glitter ballet flats! Your daughter will light up any holiday party with our adorable glitter shoes. Our shoes will complete every holiday outfit and girls LOVE to wear them. Moms and dads, your shoe battles are over! Your little one will happily jump in to these fun flats this holiday season. Click here to order your pair today! Moms and dads know that when extended families come in to town... little ones need to be kept busy! We love what The Alpha Mom blog has created to decorate your holiday table and keep little hands scribbling during the big feast. You will find her clever plan and free printable coloring sheets here! Start a pajama tradition at your house this year! We have the most adorable and comfy pajamas and nightgowns that are the perfect holiday gift. Kids will LOVE receiving colorful pajamas or a new nightgown on the big day. Your holiday photographs will be even more special with your family in matching nightwear. Enjoy! Hooray! 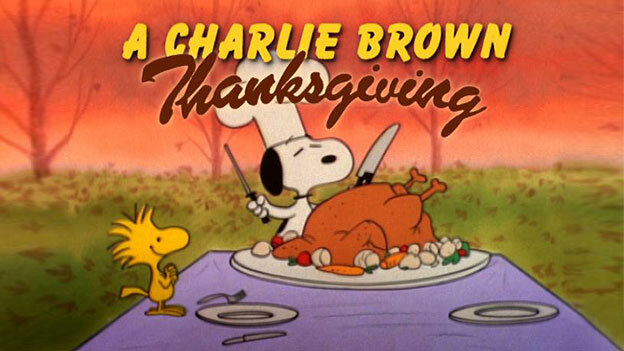 A Charlie Brown Thanksgiving is on tonight at 8pm on ABC. Who does not love watching Snoopy prepare his Thanksgiving feast year after year? Click here for all of the details. 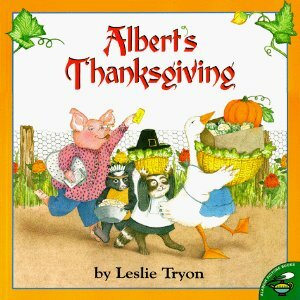 It can be difficult to find a great Thanksgiving children's book; however, Albert's Thanksgiving by Leslie Tryon is a true find. My mother sent my kids this book a few years back and it has become their favorite Thanksgiving book. It is a funny tale about Albert the duck and Patsy Pig and their endeavors to get ready for the best Thanksgiving feast since 1621. You and your children will have a ball reading about all of the tasks Albert the duck must complete to satisfy the ever-demanding Patsy Pig! Boys will love dressing for the holiday season with these two new long-sleeved tee shirts from Misteev-us. Kids will chuckle seeing Santa Claus' boots peeking out of the chimney. The sportier boys will have fun wearing our second tee shirt covered with every ball imaginable piled high in the shape of a Christmas tree! These shirts are 100% cotton and their designs stay colorful through many washings. Let your boys get in to the holiday spirit with these colorful and extra comfy shirts! Tomorrow is Veterans Day and many children will be home from school. On November 11, 1918, World War ended. Fighting stopped at the 11th hour, on the 11th day of the 11th month. 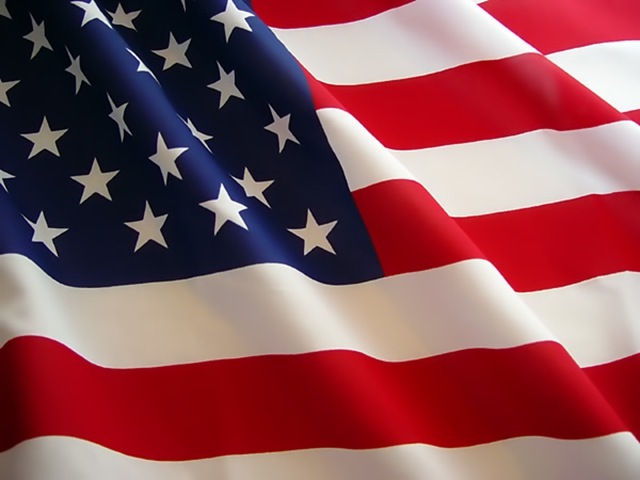 In 1938, Veterans Day became a federal holiday, to honor all of the men and women who serve and have served in our armed forces. Click here to learn more about this holiday on the apples4teachers website. 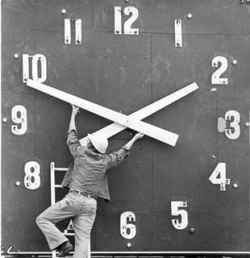 Did you remember to fall back? It sure feels good to have an extra hour of sleep! Your child will slumber in style in our newest holiday pajamas. We LOVE these adorable reindeer pj's! Let us know your child's name and we will print it on the top for no additional charge. Get a jump on ordering these pajamas so your child can enjoy them all winter long! Click here to find out more. Can you believe that Thanksgiving is only a few weeks away? 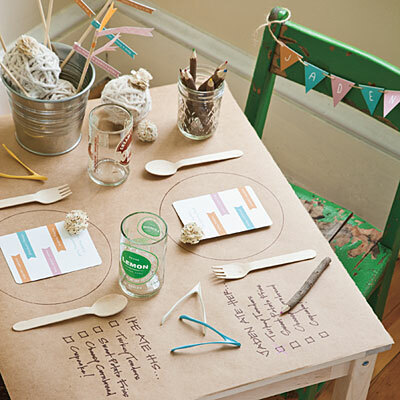 Now is the time to start thinking about how to set up seating arrangements for the big day. 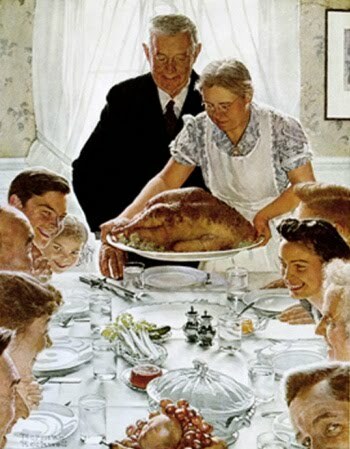 I remember (not so fondly) being escorted to the "kids' table". Unfortunately for me, this table was in the kitchen where I was usually put with cousins I did not know and saw once a year. I do not have terrific memories. The fabulous Inspired Room blogger has pulled together very special ideas to ensure that your children will be begging you to sit at your kids' table! Click here to find her secrets! Halloween candy is not just for eating! My kids LOVE to sort their candy into piles by category and then they trade each other for their favorite candies. My youngest child is learning to multiply so he put his candy into a grid pattern and worked on his multiplication. He was able to quickly multiply the number of candy that he has by type and then in total. Sorting and counting Halloween candy is a fun way to sneak in some math in to your child's day. Have fun!